Where do you store your photos? I have been using Flickr for years. I like Flickr for a number of reasons: You have 1T of space and photos upload at full resolution. You can set your default copyright setting to Creative Commons to allow others to use your photos with attribution or whatever Creative Commons license you want. Because sharing is the default in Flickr, it is great for getting your Photography out there for people to see (and sharing with family)! Also, I like the photo editor in Flickr, Aviary. Flickr even offers a printing service so you can get a canvas printed for pretty cheap! On the downside, Flickr is the only Yahoo app I use so it isn’t as convenient. Google has a new Photos app which is really nice for Google users. It is convenient and it can automatically bring in photos from Google Drive. 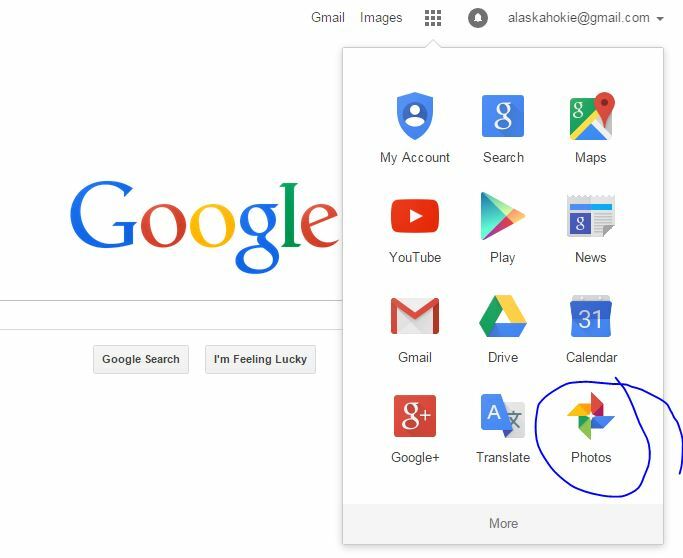 You can upload photos directly into Google Photos (see screenshot below) and put them into collections. The downside is that full resolution photo uploads count towards your shared storage with other Google apps. Here is a comparison from Lifehacker. Since I am not willing to pay for space and photography is a hobby of mine, Flickr is what I will continue to use for new photos that I take. I’ve started backing up all my old photos and scanned photos into Google Photos.